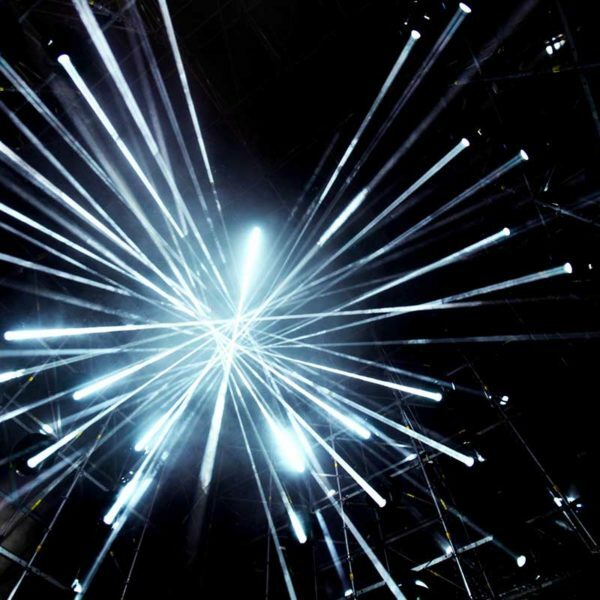 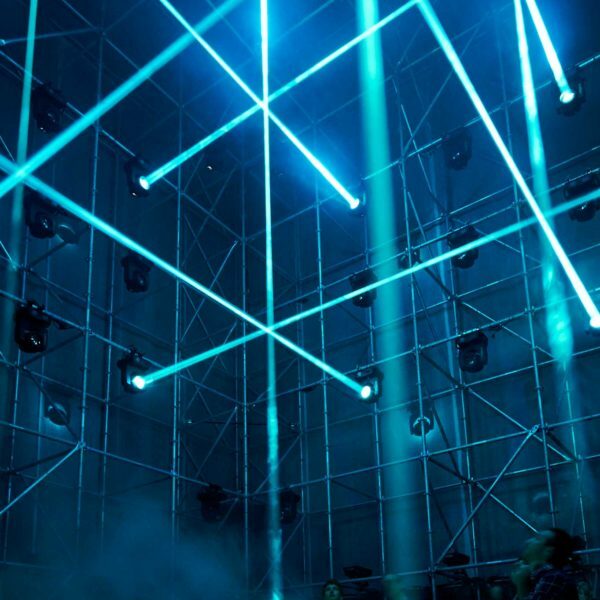 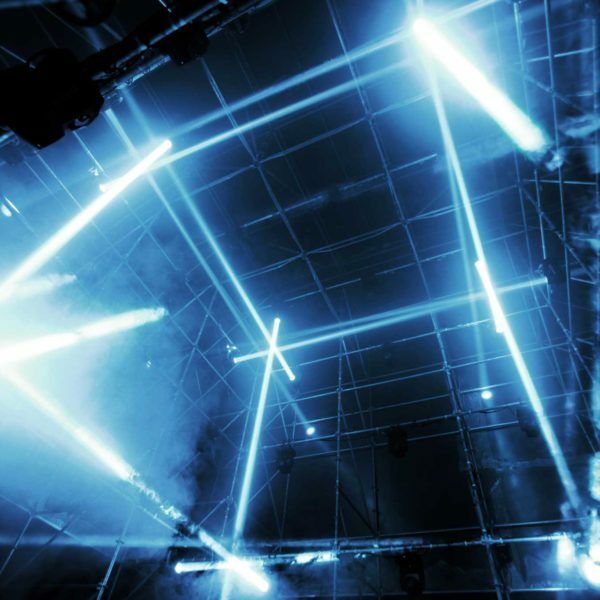 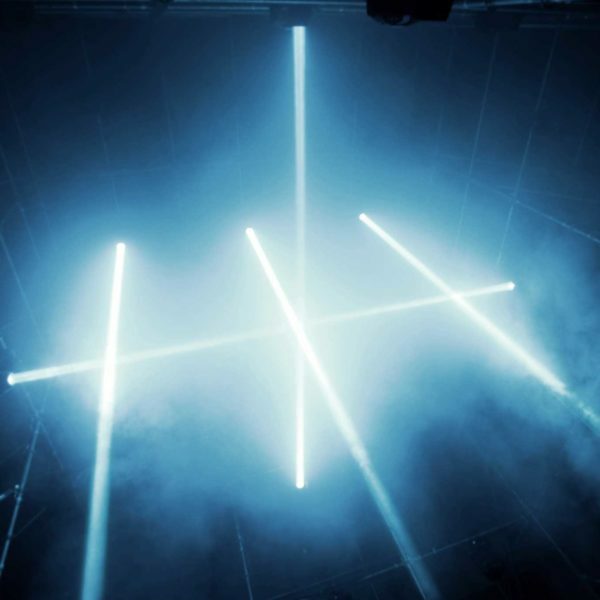 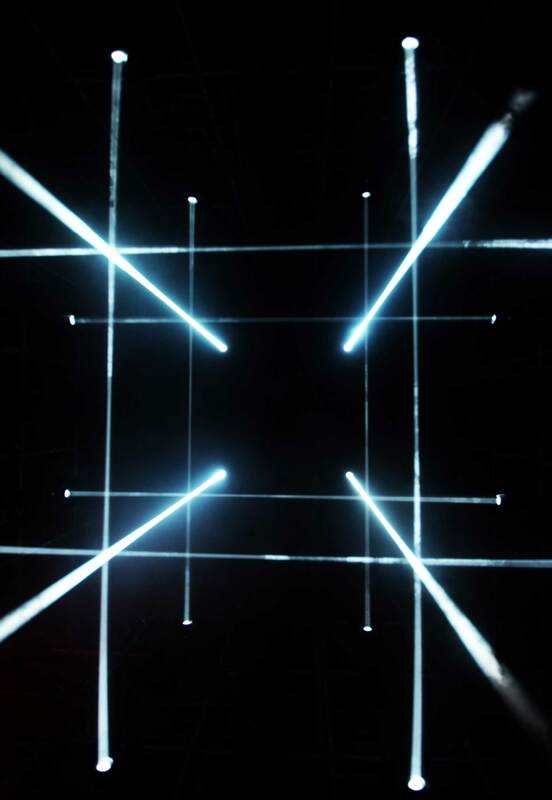 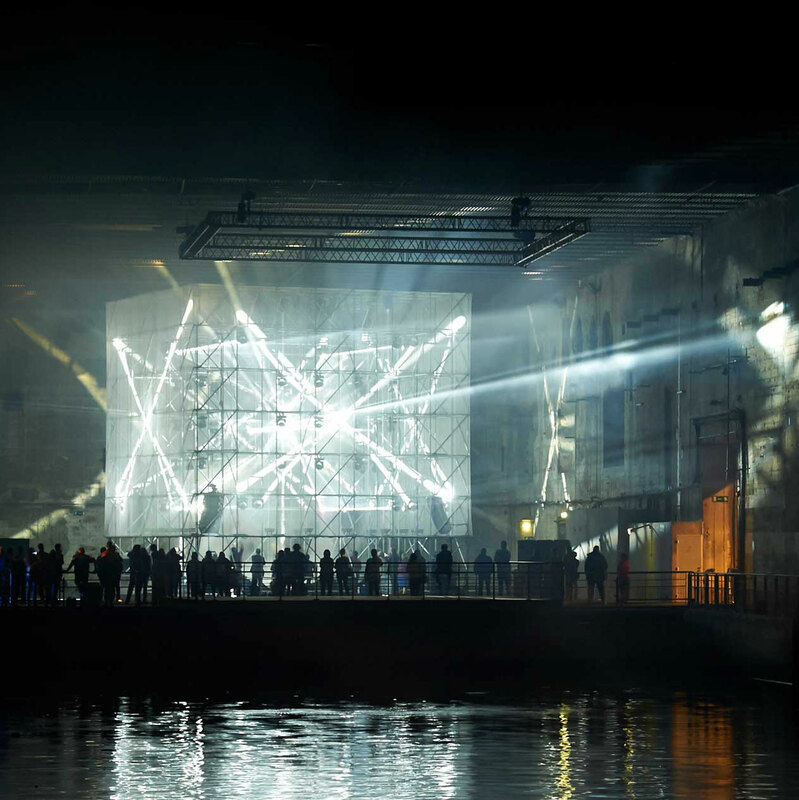 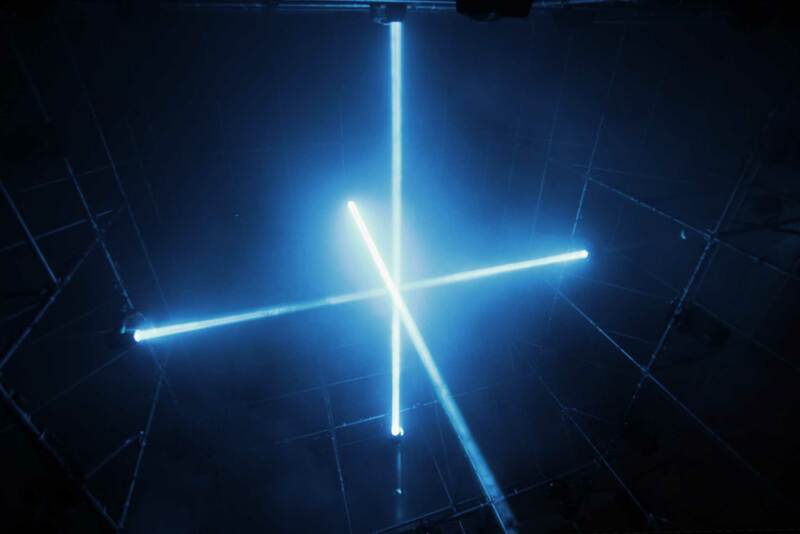 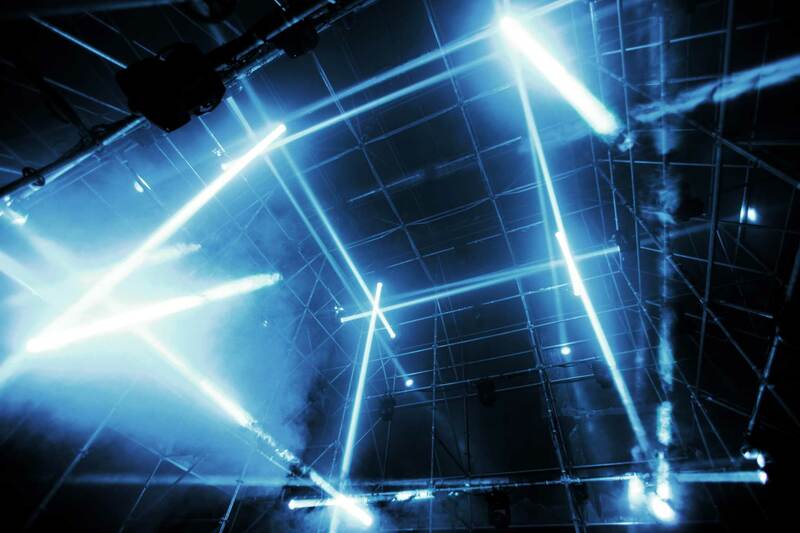 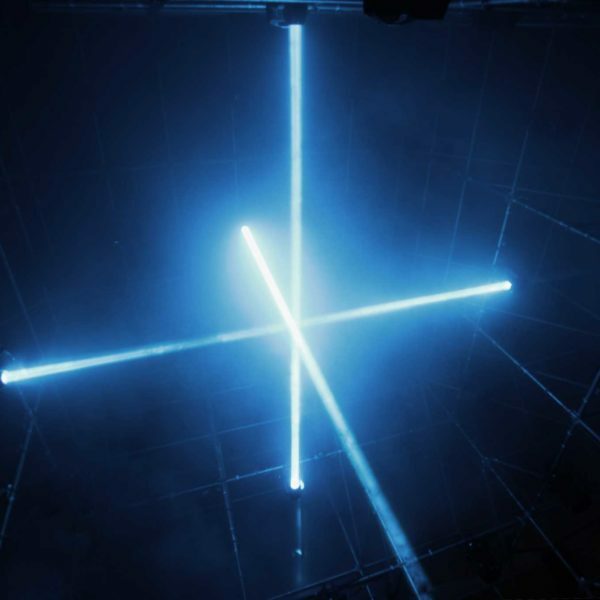 It refers to the geometrical and mathematical Tesseract object, reinterpreted in real life with a 3D moving light array setup. 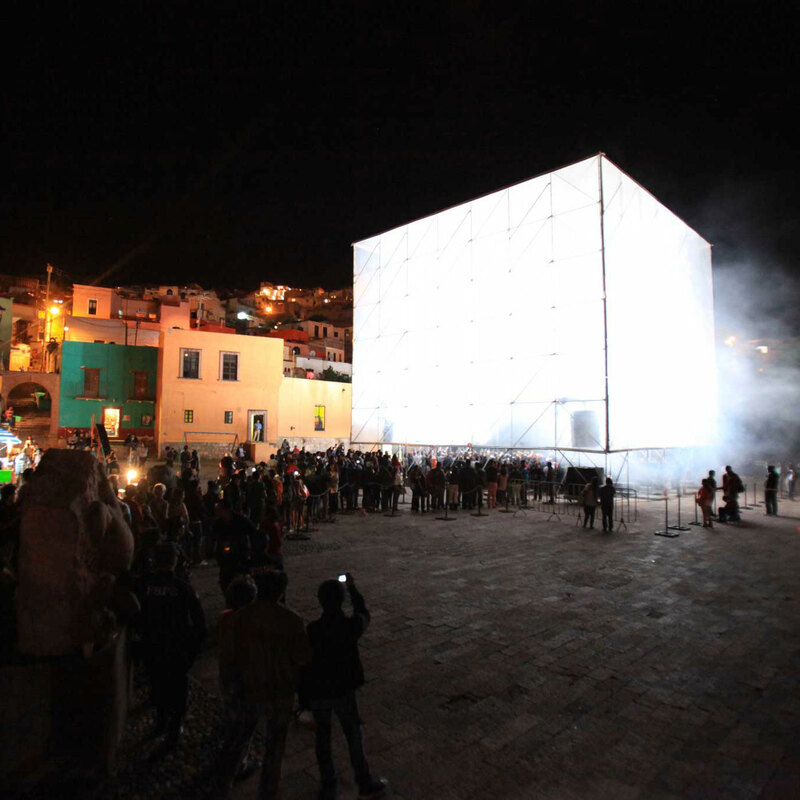 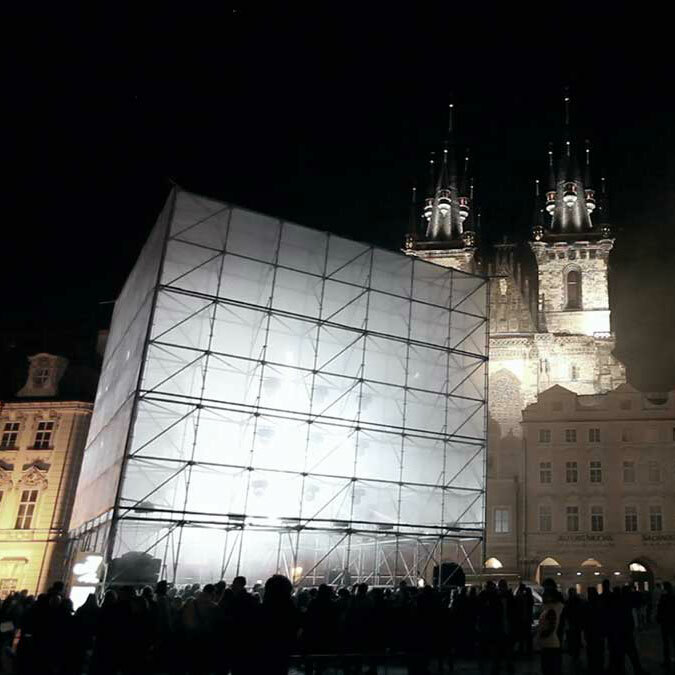 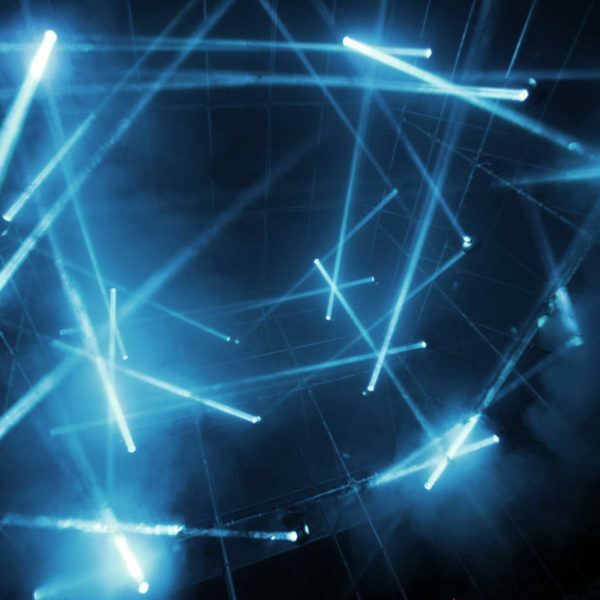 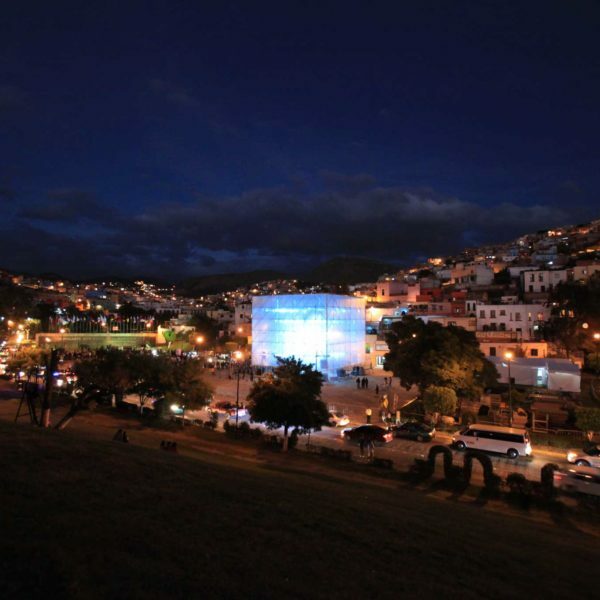 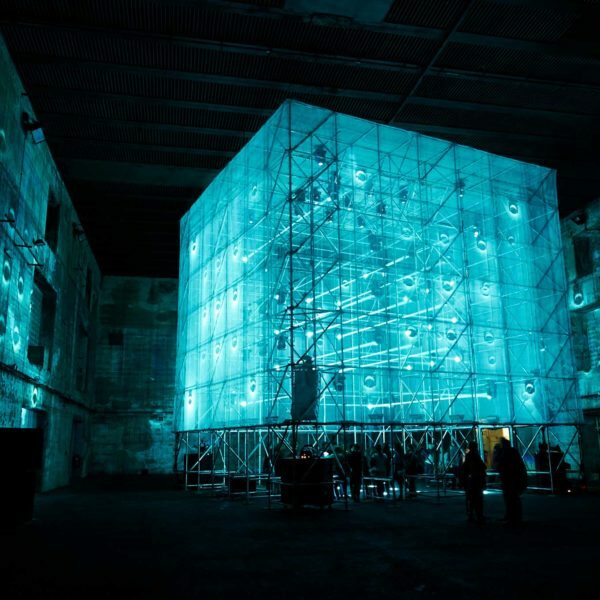 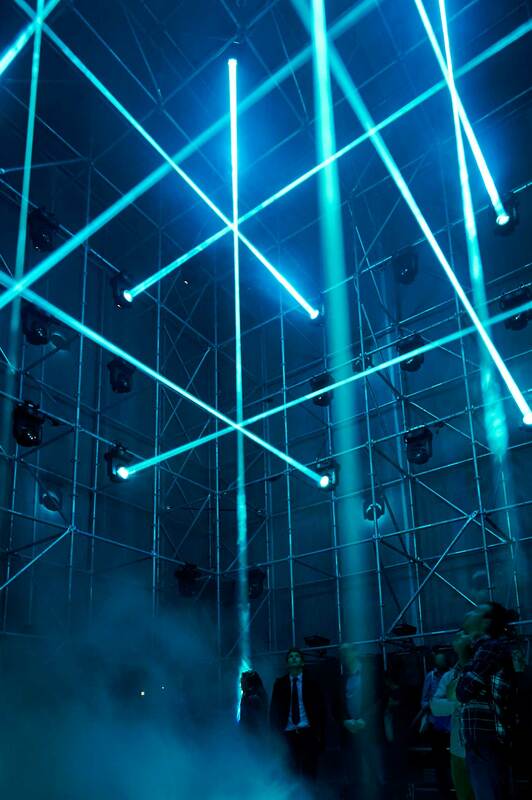 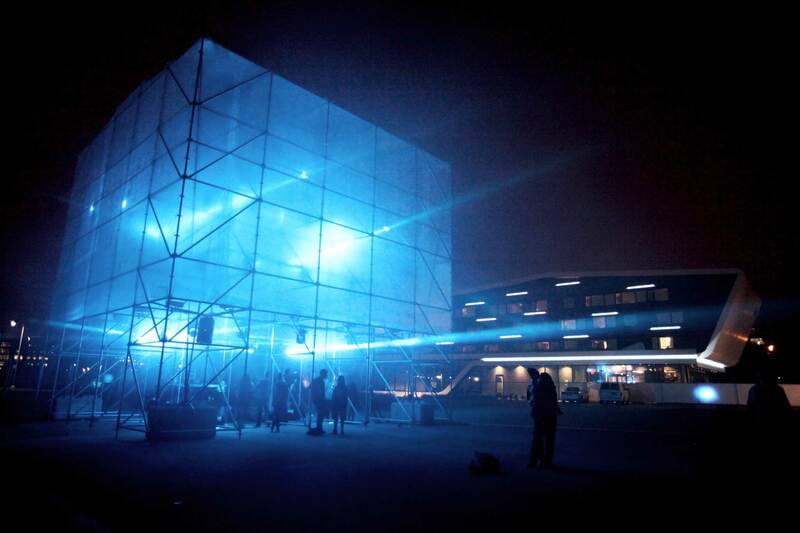 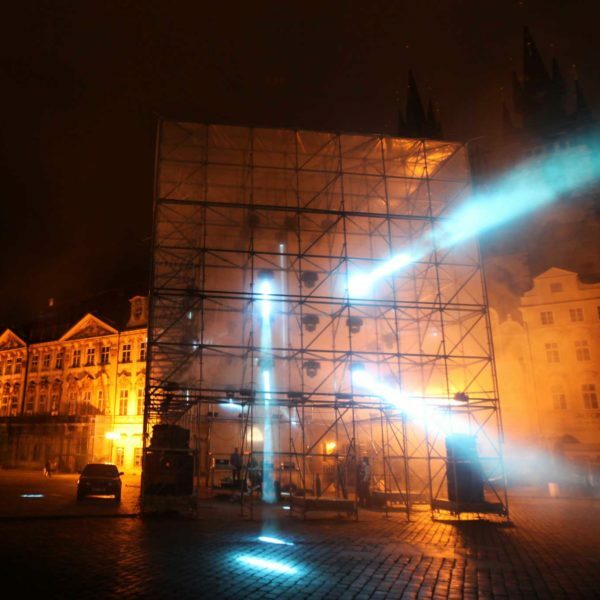 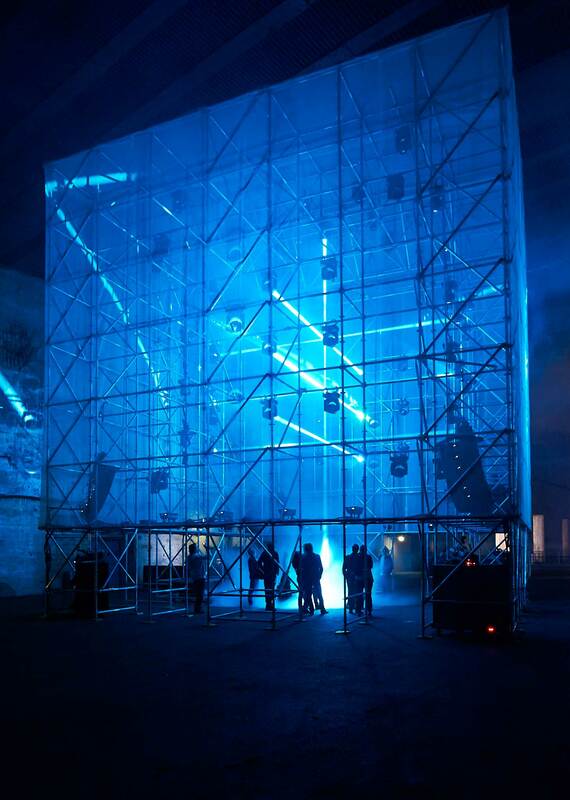 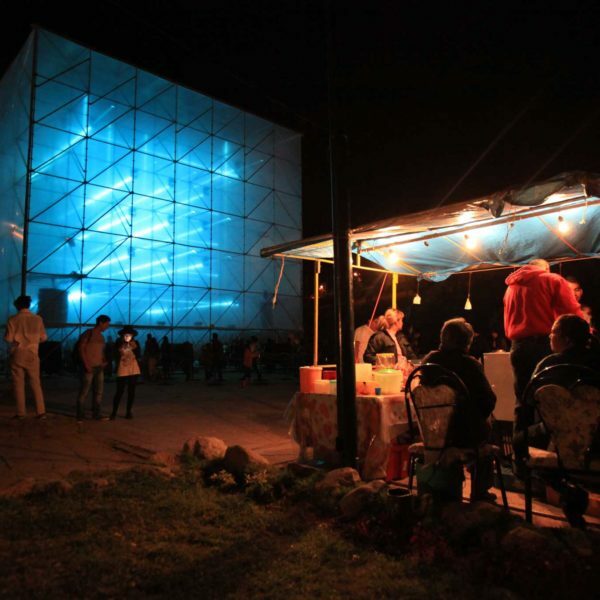 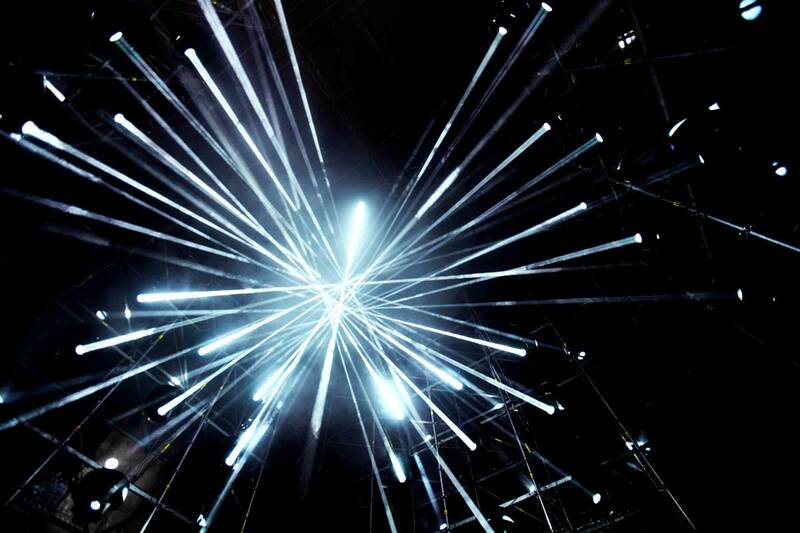 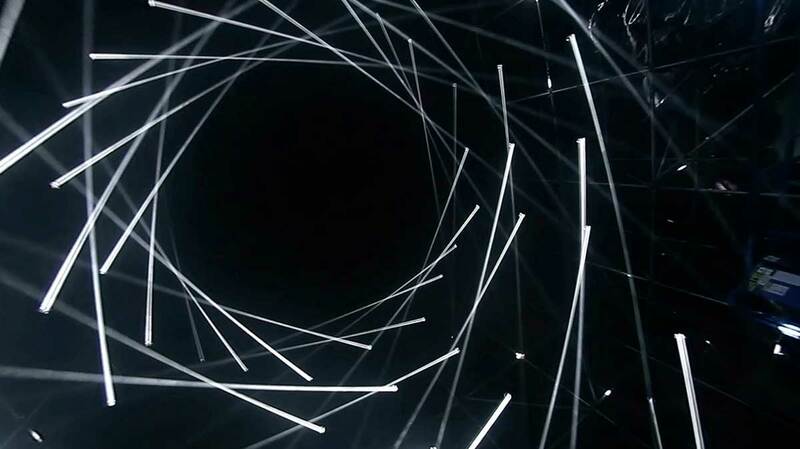 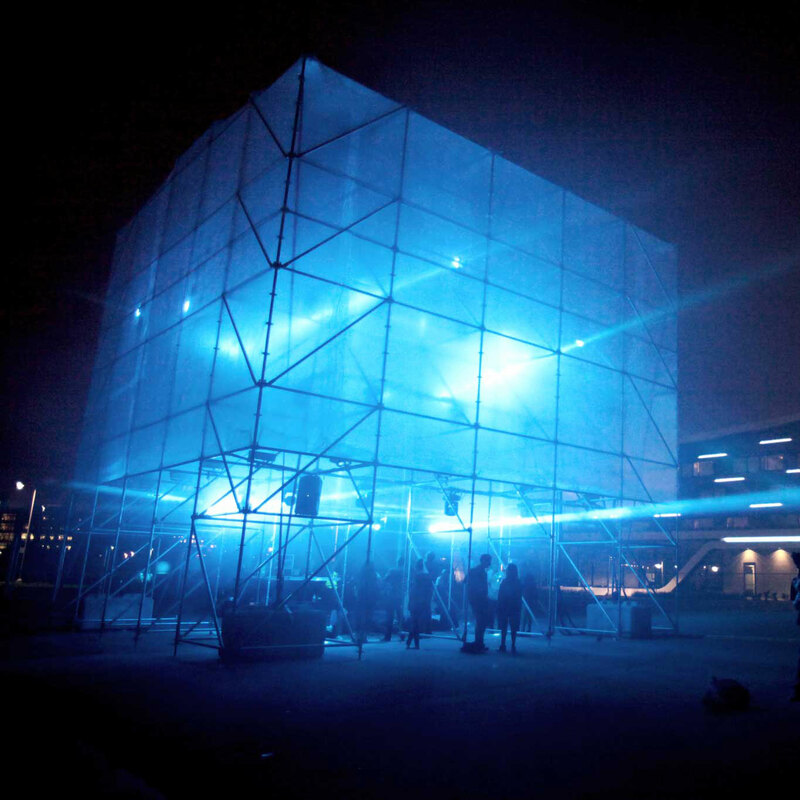 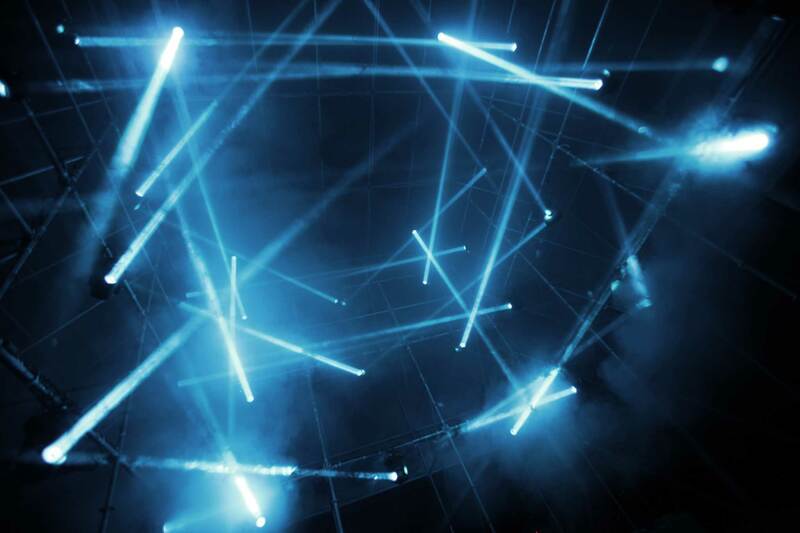 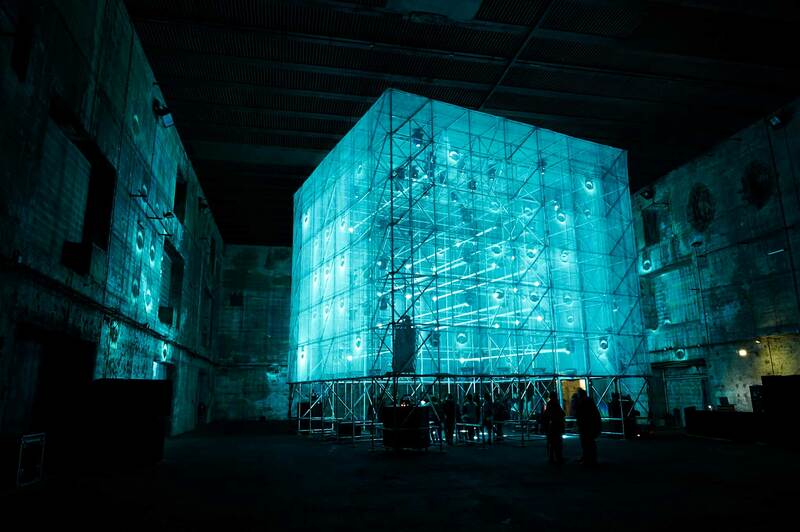 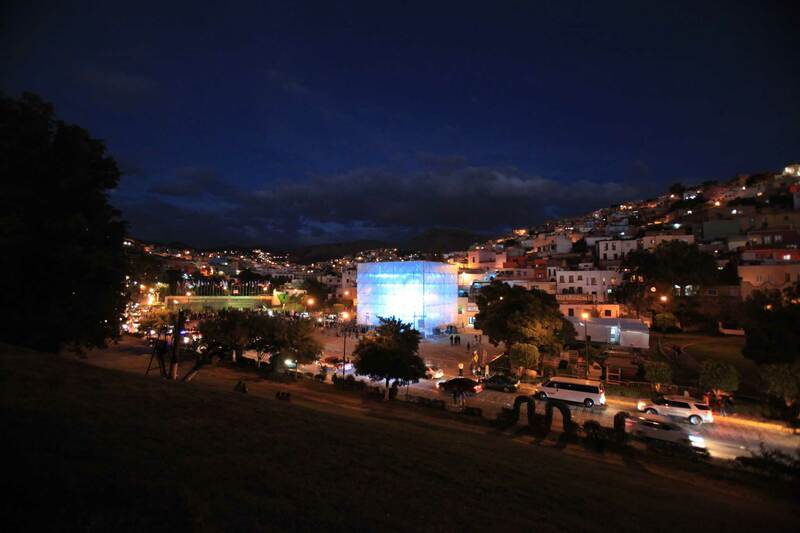 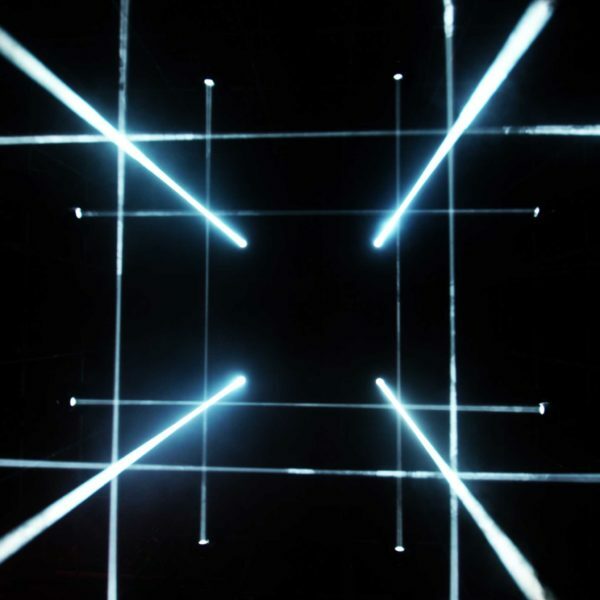 The installation is a 3d sculptural cube equipped with moving light, where the audience is invited to walk in. 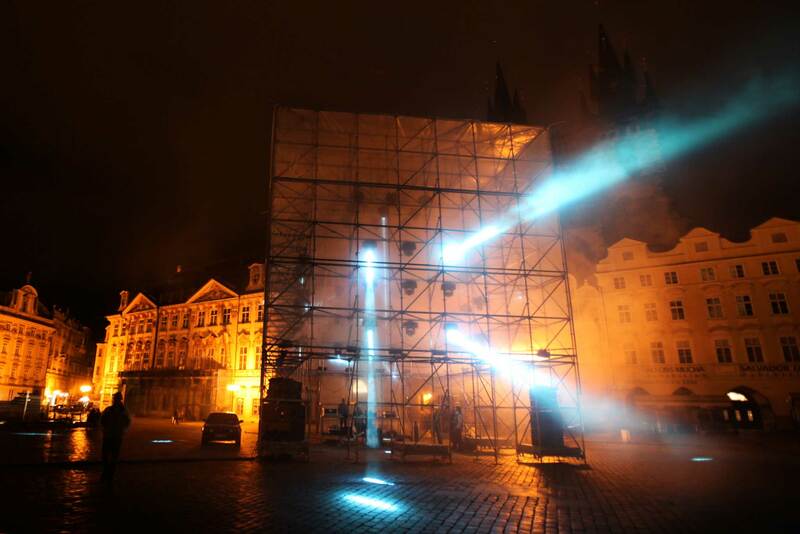 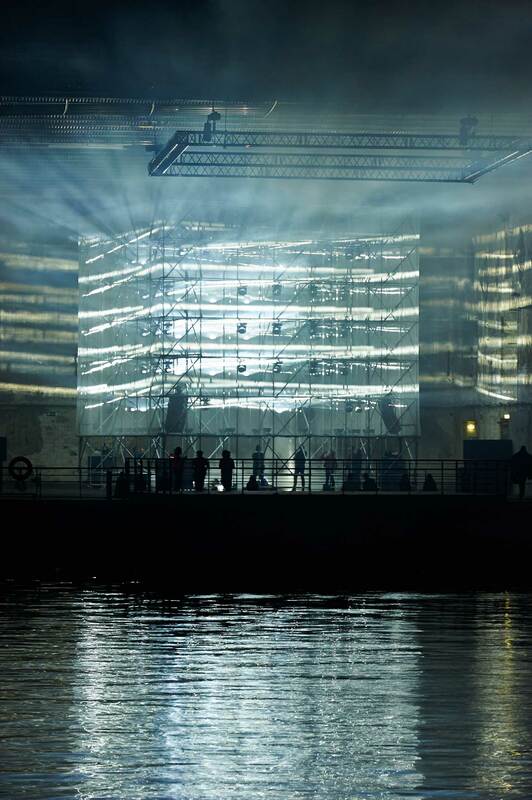 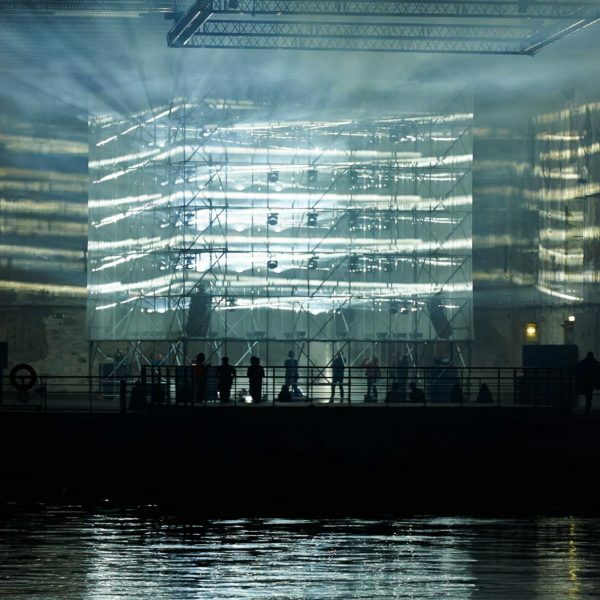 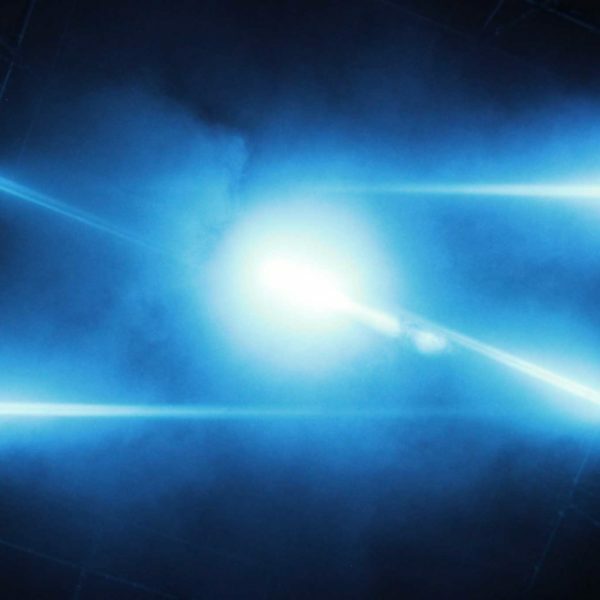 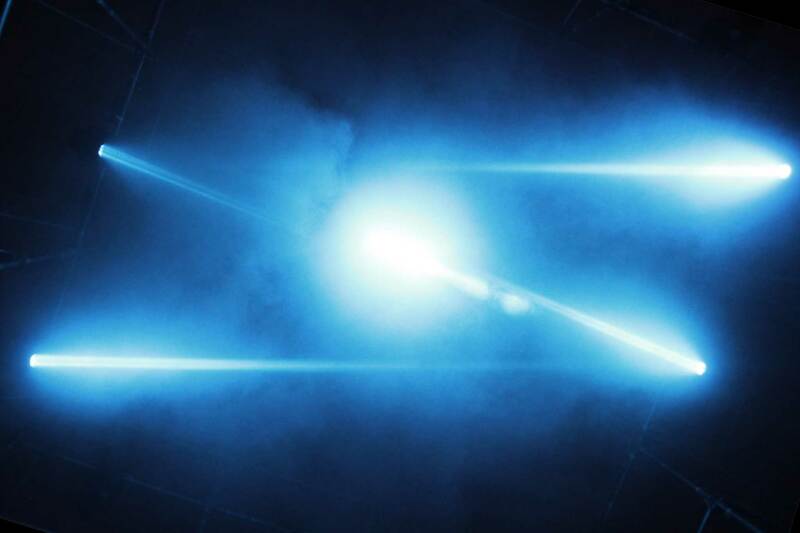 A tri-dimentional array of light mounted in an open scaffold construction are able to turn in any direction. 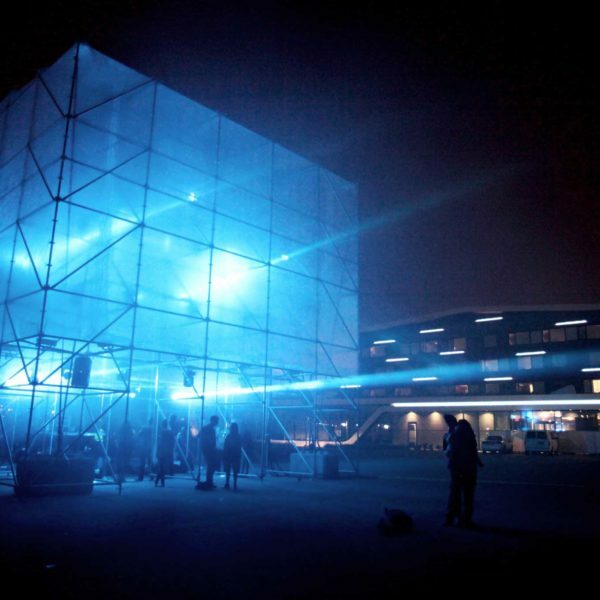 Within the cube shape, the spotlights evoke a futuristic world. 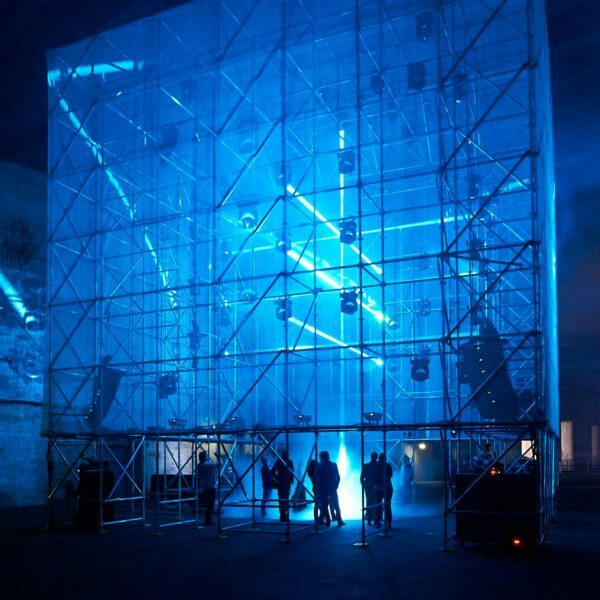 The installation is in fact no longer sculpture but motion itself: an ever-evolving state of shape and space of which the spectator is a part. 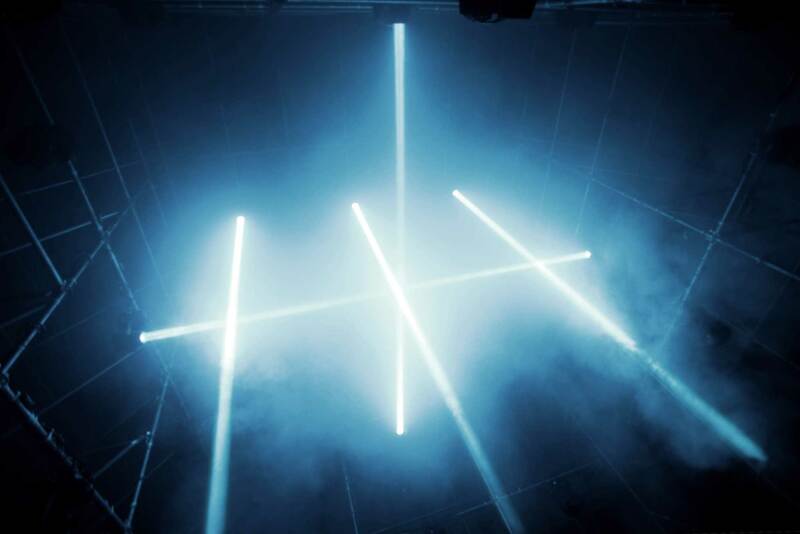 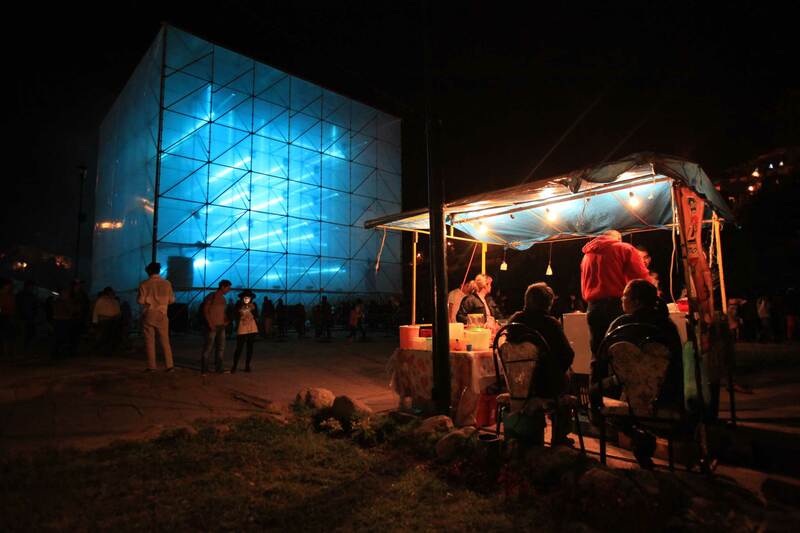 // New Forms Festival in Vancouver the 13th of september 2013 / With the constructive collaboration of Vancouver artists: Cedric Bomford, Innes Yates, and Reece Terris. 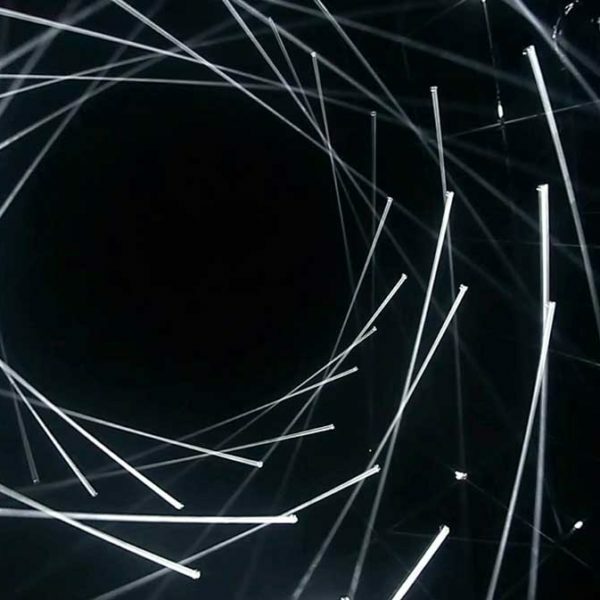 Curated by Kate Armstrong and Malcolm Levy.